WHEN I WAS GROWING UP I walked uphill both to and from school. 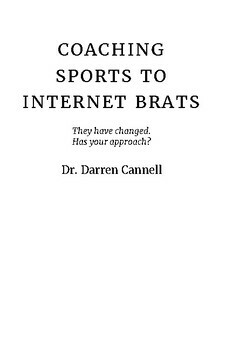 As I age I find myself making the ``As I was growing up statements more and more.`` Has the internet age altered the behavior of the kids today? Are they different from thirty years ago? Are they easier to coach in sports? Dr. Darren Cannell will share some of his experiences over his 40 years of coaching at all level and in numerous sports. 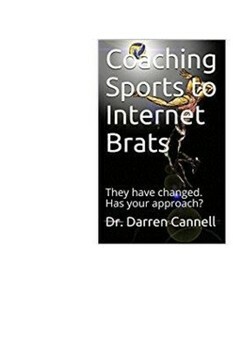 To make it easier to understand Dr. Cannell will talk about coaching volleyball but most of the techniques, and philosophy can be altered slightly and applied to any sport. 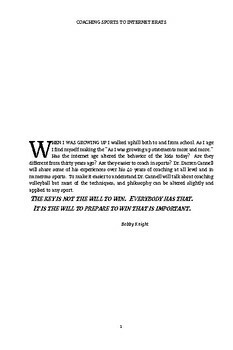 The key is not the will to win. Everybody has that.